We have had such a fantastic and positive response to the new newsletter and website which we launched last week. We are pleased that so many of you have either spoken to me and the team in the shop or sent me an email. That really is the aim of this weekly communication, to inform and to encourage more golfers to talk to us about their game and how they would like to improve. Have you set your aims for the year? If so let us help you achieve them and make 2014 a fantastic golfing year. 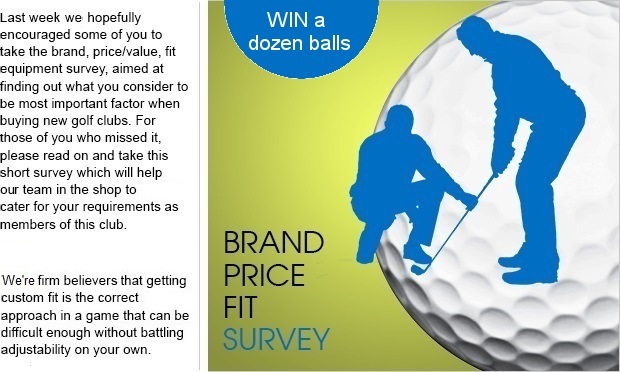 Click here and tell us what you'd like to achieve be it more consistency, lower your handicap or just to beat your golfing partner. For those of you that might have missed our email last week, We'd like to tell you a little more about my new email and website. We have spent a lot of time putting together this website. You will find videos on the latest golf equipment, instructional tips and videos, contact forms to keep in touch and information on the promotions that we have running in my shop. But we also want to feature you! 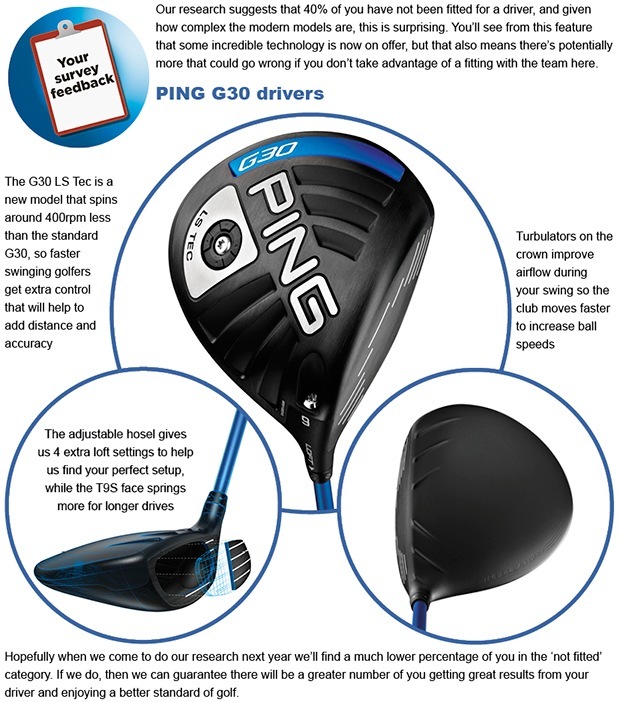 So if you have any news be it a hole in one, birth of a son or granddaughter, a testimonial on how great your new driver or electric trolley is we want to know and we will be delighted to feature you in our site. Sunday 1st, final round of the Winter League, new member Simon Ray had a hole in one on the par three 13th, the ball didn't look like it was in from the tee, but as they got closer the ball dropped into the hole. Simon was rewarded with a hole in one tie, and the honour of buying everyone a drink! The winners of the Winter League Round 10 were Declan O'Brien and Adam Crockford, this completed a double for them, having won Round 9 the weekend before. On Friday 20th March we are hosting a send off for our Club Captain Phil who many of you will know. For only £32 you will recieve a fabulous three course meal and there will also be port served on the tables. To see the full details click here to see the poster for the event or if not get in touch. In the pro shop we have the arrival of three new brands, thanks to making more of our Foremost membership we have the members only shoe from adidas. We have clothing and shoes from Puma, and we also have the new Spring/Summer range from J. Lindeberg. To see our full range of stock on the pro shop website click here. From time to time you will see graphics and content in our email and website relating to Click and Collect. 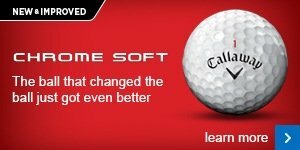 This is a website where you can buy golf equipment. It helps us to expand our product range that we are able to offer you. If we don't stock it here in our shop and it's available on the Click and Collect website, then you can pay for the product and have it delivered to our shop free of charge. If there are any problems with the item purchased you can return it to me and we can send it back, again without charge.